* Power: 110 volt, 16A coupler. 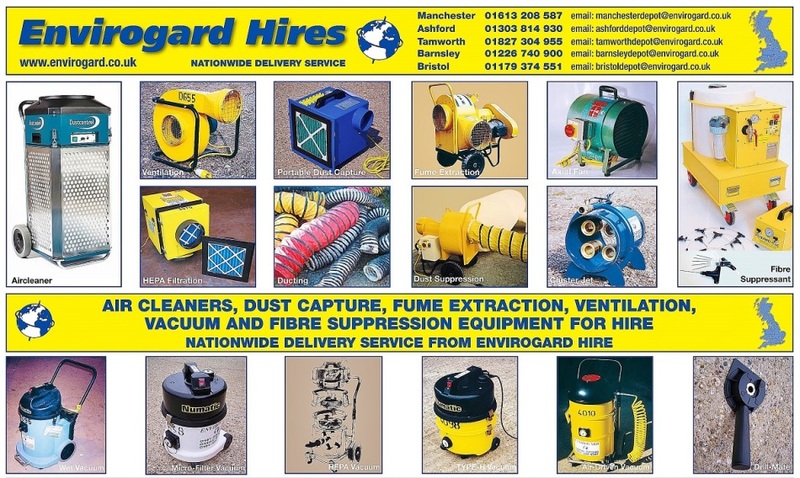 A medium capacity fan for blowing or extracting air, fumes and light airborne dust. This centrifugal fan has a high suction capacity which makes it effective even for applications which involve long ducting runs. 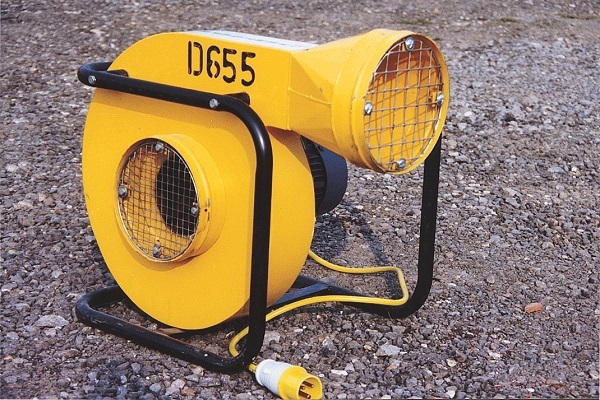 It can maintain airflow over distances up to 40 metres, and a series of fans can be used at 40 metre intervals if longer ducted lengths are required. The VS 1000 uses small bore ducting - so it does not impede access through openings; the ducting can easily be strung up. The relatively light weight and wrap around carry-frame make the VS 1000 a convenient product for handling in buildings, basements, and roof spaces. This fan is also popular for capture of nusiance fugitive dust, using a needle-felt filter sock attached direct to the discharge of the fan; once full this "sock" can simply be emptied and re-attached for futher use. We can supply flexible trunking as part of the hire - standard ducting: 200mm diameter x 8 metre lengths, easy-coupling using capstan connectors (supplied with all hired ducting).